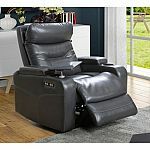 Sams Club has over $13,500 in instant savings through 5/7/19. 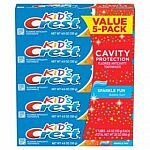 Shipping is free for many items or for Plus members. 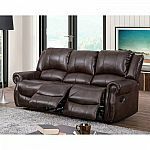 Sam's Club offers its members the Lane Furniture Robert 4-Piece Reclining Sectional Sofa with Chaise Full-Size Sleeper in Beige for $2,499 with free shipping. (Non-members pay an additional $249.90, so it's better to get a 1-year membership for $45.) That's the lowest price we could find by $296. Sam's Club offers its members the Lifetime 8x17.5-Foot Dual-Entry Storage Shed for $1,999 with free shipping. (Non-members pay an additional $199.90, so it's better to buy a 1-year membership for $45.) That's the lowest price we could find by $491. It features a steel-reinforced design, skylight, two shelves, and wall hooks. 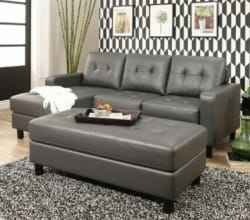 Ending today, Sam's Club offers its members the Abbyson Living Bainbridge Fabric Chaise Lounge in several colors (Grey pictured) for $249.98 with free shipping. (Non-members pay a $25 surcharge.) That's the lowest price we could find by $172. It supports up to 250 lbs. 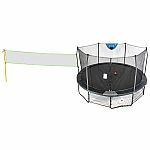 Sams Club has Skywalker Trampolines 16' Deluxe Round Sports Arena Trampoline with Enclosure for $319. Shipping is free. I purchased this TV a week ago for $699.99. This is the best deal I have seen. I like the TV so far. But, wish I now would have waited a week. In the process of seeing if B&H will price match. 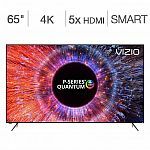 For those that missed out on the Costco deal or don't have a Costco membership (and/or have Sam's Club Membership), Sam's Club and SamsClub.com is offering the same 65S423 (2019 Model) of the 65" TCL Series 4 for $489. Available in-store and online. Sam's Club offers its members the Retro Games The C64 Mini Computer for $27.98 plus $5.31 for shipping. (Non-members pay $2.80 more.) That's $7 under our mention from two weeks ago and the lowest price we've seen. (It's the best deal now by $4.) Modeled after the Commodore 64, it features HDMI (for 720p output), two USB ports, save and resume functions, and 64 built-in games. A joystick is included. Sam's Club offers the Retro Games The C64 Mini Computer for $27.98 plus $5.31 for shipping. (Non-members pay $2.80 extra.) 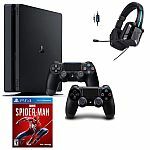 That's $7 under last week's mention and the best deal we've seen. (It's the lowest price now by $7.) Modeled after the Commodore 64, it features HDMI (for 720p output), two USB ports, save and resume functions, and 64 built-in games. A joystick is included. 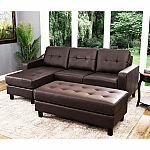 Sam's Club offers the Abbyson Living Claire Leather Reversible Sectional with Ottoman in Grey (pictured) or Brown for $399 with free shipping. (Non-members pay a $39.90 surcharge.) That's a $200 drop from two months ago and the lowest price we could find by $150 today. The sectional measures 90" x 60" (including chaise) x 36" and the ottoman measures about 51" x 26" x 15". 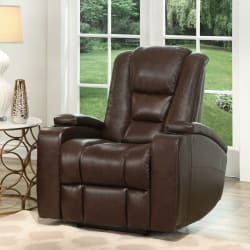 Sams Club has Abbyson Living Amy Power Theater Recliner with Power Headrester for $299. Shipping is free.